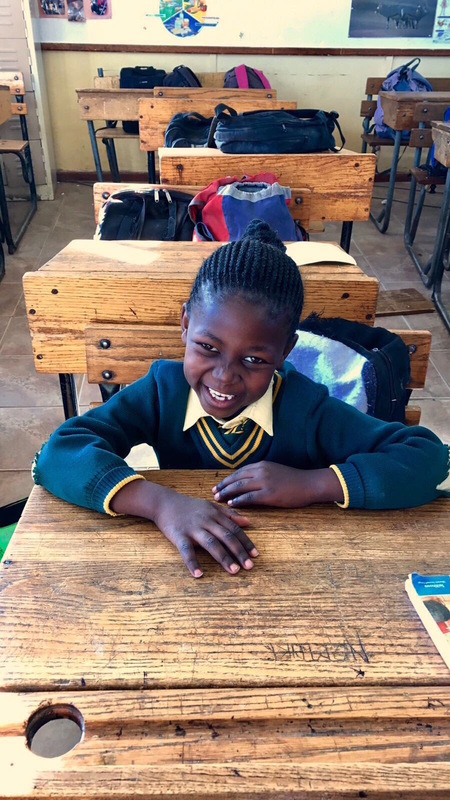 Jennifer Yates, a Universal Promise intern, traveled to South Africa in June 2015 to build an outdoor classroom for Vusumzi Primary School's youngest students. The learning and play space serves as a safe home for academic, emotional, and physical growth. Under the watchful eyes of their educators, children happily water their vegetable gardens, climb on a jungle gym, play soccer and netball, eat lunch under the shaded pergolas, and explore a miniature version of their town.